Saving to buy a home while you watch prices and interest rates increase feels like an impossible goal. You checked into FHA loans and learned it only requires 3 ½% of the purchase price as a down payment. But then you learned about the high, and permanent, mortgage insurance premiums. No thanks. Well, don’t give up on your dream of homeownership! Consider these loans offered by Freddie Mac: the Home Possible loan requiring a minimum of 5% (of the purchase price) down payment and the Home Possible Advantage, allowing a minimum of 3% (of the purchase price) as the down payment. The best news is that Freddie Mac is making it easier to qualify for both loans beginning October 29, 2018. Yes, both loans require you to pay Mortgage Insurance premiums, but the cost is less than an FHA loan. The other difference from an FHA loan is you can drop the mortgage insurance once there is 20% equity in the property. Equity accumulated by a combination of loan repayment and property appreciation. These loan programs represent a great opportunity in today’s real estate market – no matter where you live. So how do you know if you qualify? Use this complete guide then call your lender to get your individual questions answered! 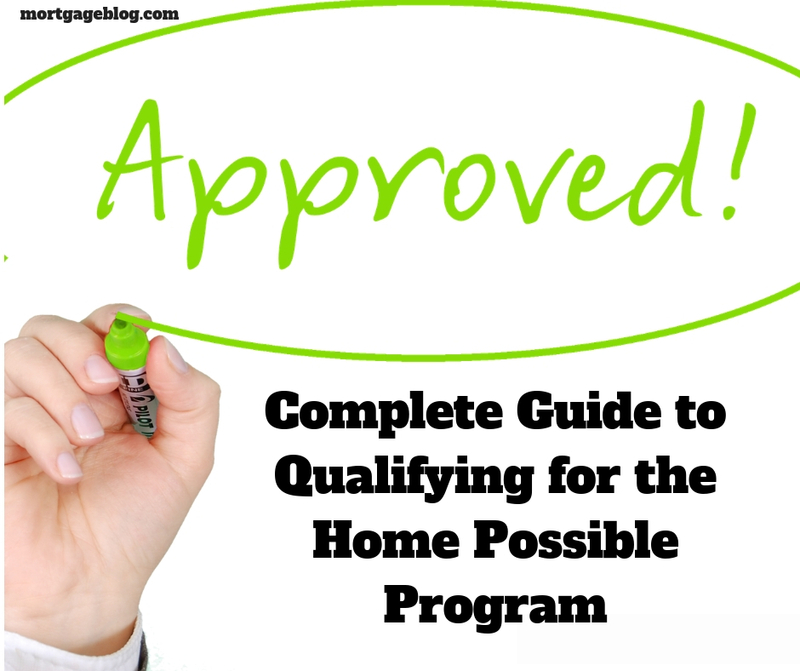 More details about qualifying for the Home Possible Advantage include: it must be your primary residence, no vacation or rental properties allowed. Typical minimum credit scores are 620, check with your lender to confirm. There are more qualifying criteria that both Freddie Mac loan programs have in common, but let’s talk about qualifying for the Home Possible loan first. A 5% down payment is required. Can be used to purchase a one-four unit property. Allows a higher debt-to-income ratio of 45%. You can also borrow a higher loan amount with 5% minimum down payment – up to the high-balance limit in your area – as long as you meet the other qualifying criteria detailed above. Note – you can only qualify without a credit score with zero collections (except medical), judgments, or tax liens reported within the previous 24 months. You’ll need to take the homeownership education program offered by Freddie Mac (at least one of all borrowers must complete), which available online. You’ll receive a certificate when you finish it and will need to give it to your lender before they prepare the loan documents. Freddie Mac’s changes to the Home Possible and Advantage programs become effective November 1, 2018. One change addresses qualifying with Student Loan debt. Updated guidelines allow lenders to use the monthly payment shown on your credit report to qualify you. If the monthly payment for your student loan isn’t on your credit report, lenders will use 0.5% of the remaining balance of the student loan to calculate a payment for qualifying. They can do this even if your student loan is in deferred status, or in Forbearance. Previously, you had to gather documentation confirming the actual (non-reported) payment – or a much higher monthly payment calculation prevailed! Inherited an interest in a property and were not the sole owner. It’s property you own with another, and they retained the property in a divorce. You were only a co-signor on a mortgage loan, and the other party made the payments for a minimum of 12 consecutive months. Freddie Mac now allows someone to be on the title of a home (partial ownership) even if they don’t live in the property with you. This is a significant change from previous guidelines. It’s not uncommon to have someone share the title with you on your home, even if they will never occupy the house with you. While it won’t contribute to helping you qualify for the loan if your situation dictates that you have to share the title – it’s no longer a roadblock. There are no reserve requirements for either program unless you purchase a 2-4 unit property. In that case, two full months of the mortgage payment must be available in your assets after you close the loan. To clarify – in addition to the down payment, closing, and pre-paid costs, you need excess funds equal to two months of the mortgage payment in a checking/saving/investment account. You can check here for all the details about this loan program but having an in-depth conversation with a lender is the best way to discover if this is the right program for you.